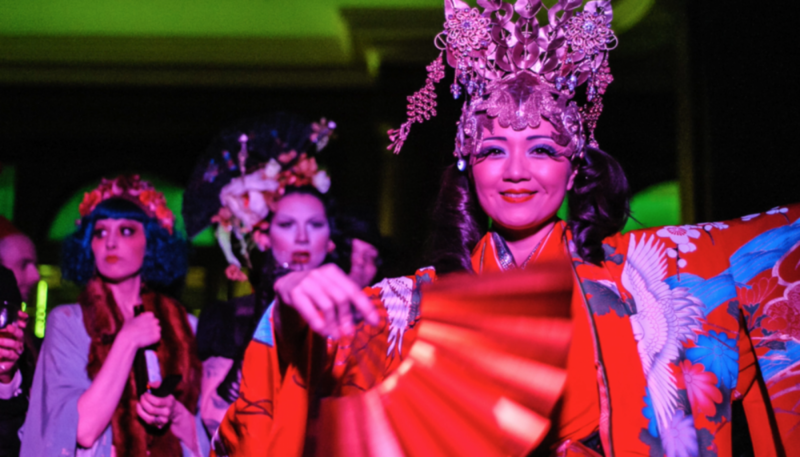 Aside from a time machine, the immersive Shanghai Mermaid party is the closest you can get to being transported to a different age. 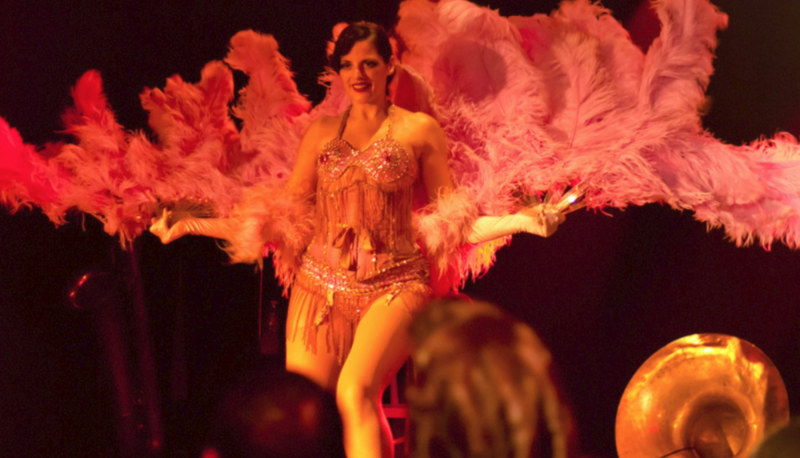 Juliette Campbell has been throwing transportive parties around New York City for more than 10 years, but her Shanghai Mermaid events never really take place in New York — instead, they’re set in 1932 Buenos Aires, or moments as specific as Monday, December 4th, 1933: the last night of Prohibition in the United States. 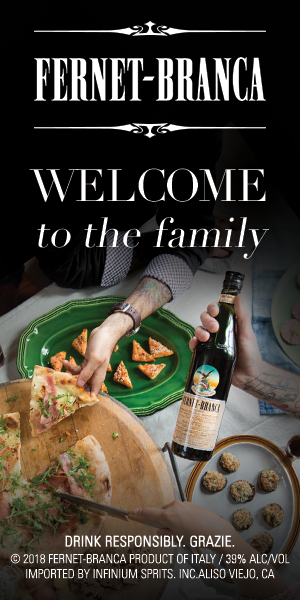 The goal of these affairs is to make guests feel as though they’re truly somewhere else. 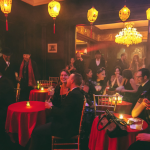 Not through reenactment — instead, Juliette thinks through a million details to create an immersive experience, a vibe and an atmosphere that guests can exist within for one night. 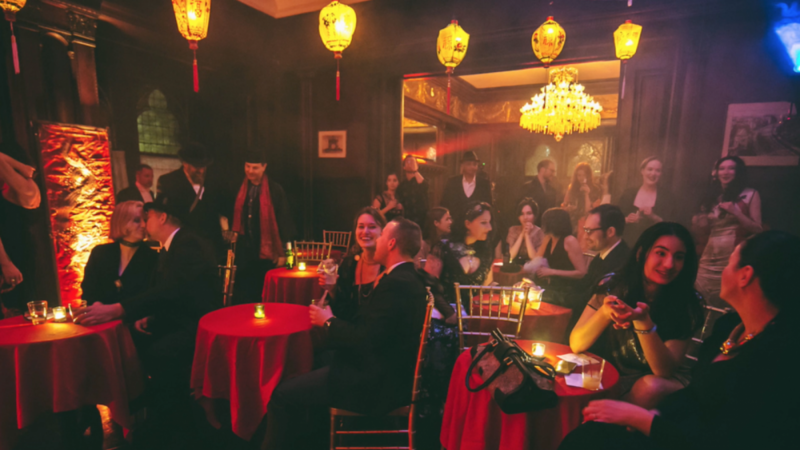 There may be smoke machines, glowing lanterns, and period dancers, but it really all comes down to three things: the costumes, the music, and the cocktails. 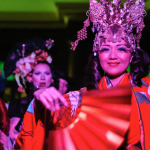 This month, Per La Mente sat down with three women who are part of Shanghai Mermaid for a behind-the-scenes look at their inventive soirées. 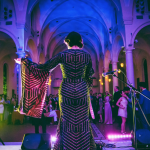 Juliette shares her inspirations and processes for the parties, as well as her strict dress code for attendees and the important role guests play in the festivities. 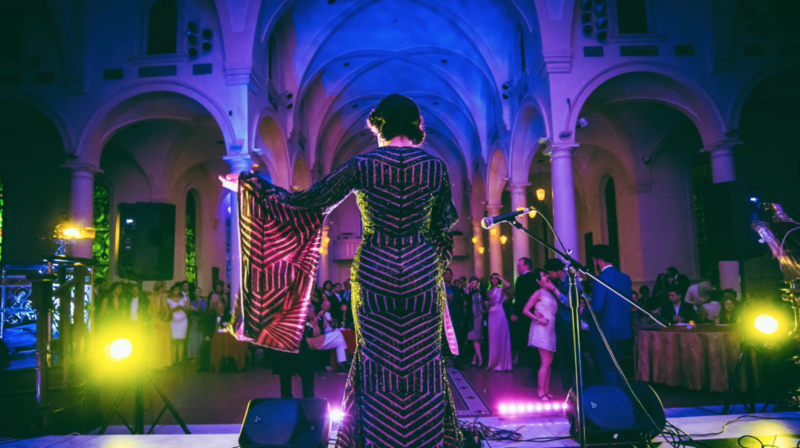 Mara Kaye, a New York–based blues singer who performs frequently at Shanghai Mermaid events, speaks about the impact blues music has on uniting a crowd in a shared experience. And frequent Shanghai Mermaid mixologist Nina Granados creates “Three Knocks You’re In,” a custom cocktail featuring Fernet-Branca and lime cordial, what she considers a particularly transportive mixer. Find the recipe below, drink up, and step into the past. Combine all ingredients and shake. Serve over ice, topped with soda. Garnish with an orange twist. To sip mesmerizing cocktails that accompany immersive experiences, click here. To peruse interactive culinary innovations overseas, go here. To read about AR and VR innovations enhancing immersions, try here. To learn how to throw interactive events of your own, head here. Carly Pifer	is a writer based in Brooklyn. Her work has appeared in publications including Brooklyn Magazine, Refinery29, and VICE Motherboard. She never misses an opportunity for a costume party and knows the best burger in New York is at a hole-in-the-wall Pakistani joint in Bushwick.